The Brand portal of Elvis 6 relies heavily on metadata so it is important to be aware of what it is and how to use it. Some metadata is very technical (such as the file size and file type) while other metadata describes the content of the file (such as a description, tags, or category). Metadata can be added automatically (for example by a digital camera or a word processor), or it can be added manually. Some of the metadata cannot be changed (such as the date and time when the file was created), while other metadata can be freely edited (such as a description). You will see metadata displayed throughout the Brand portal and use metadata whenever you perform a search. In the Brand portal, metadata cannot be edited. 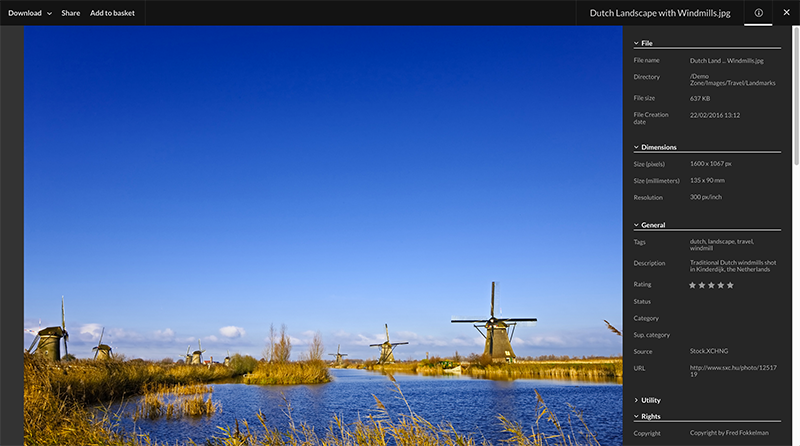 Metadata is shown for each thumbnail and when viewing a file in fullscreen mode. 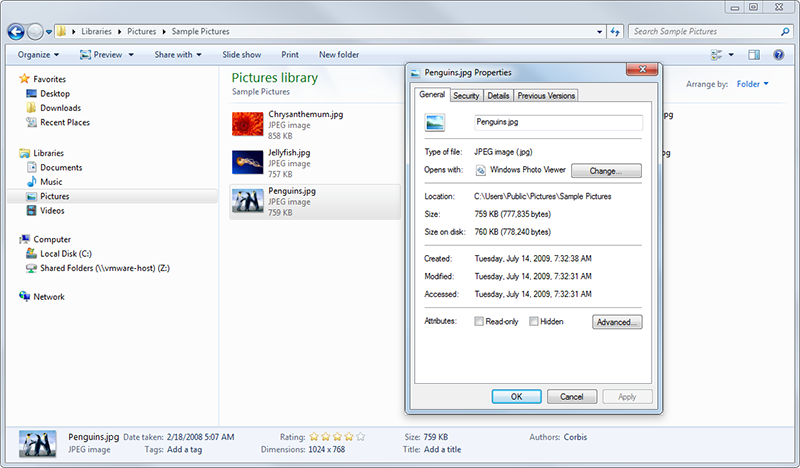 For each thumbnail, the file name and file size is shown. 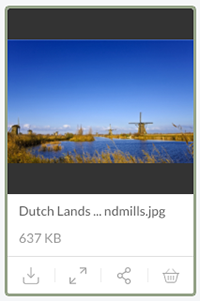 When viewing a file in fullscreen mode (by clicking the fullscreen icon in the thumbnail or by selecting the file and pressing the spacebar), many metadata fields can be viewed by clicking the info icon in the top right corner. Changing the metadata fields that are displayed in fullscreen mode can only be done by the system administrator (see Setting up the Brand portal in Elvis 6).